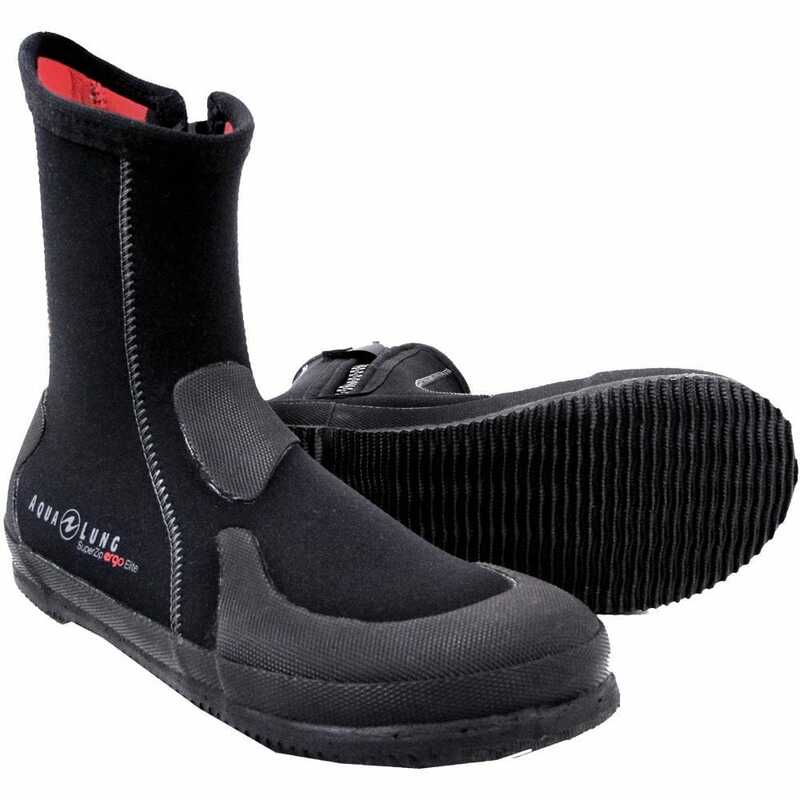 Avid divers finally have an ergonomic boot that will stand up to their day to day dives. The Superzip Ergo Elite is designed to be ready for continuous use. 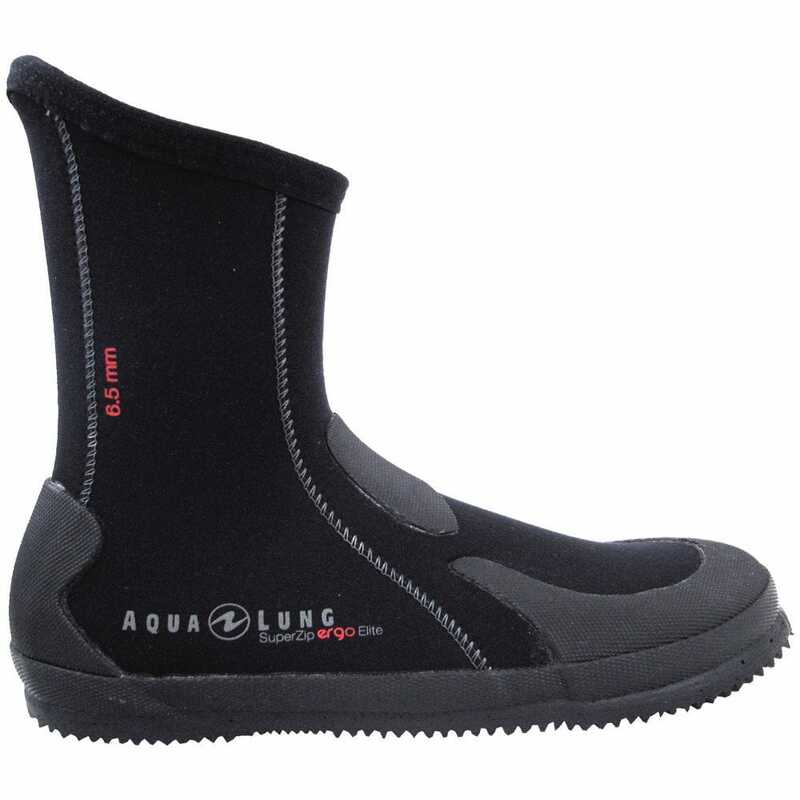 The 5mm neoprene upper hugs your feet tightly to reduce water transfer and keep them warmer longer. Also, the binding on the cuff is elastic so it won’t feel like your wearing a tourniquet on your calf. 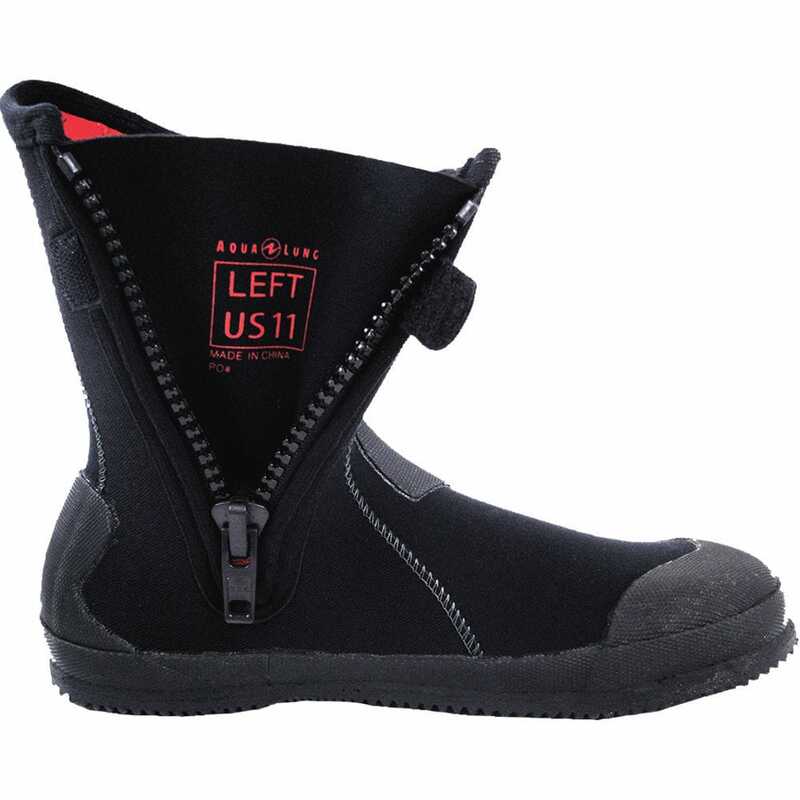 The #10 YKK zipper is standard on Aqua Lung boots. We went ahead and sewed that zipper to our strongest Supratex neoprene. This will help prevent the zipper from tearing out. We also added a big size and foot graphic on the gusset behind the zipper. Making sure you have a left and a right boot might be a good idea before you leave on your trip, right? To beef this boot up, we doubled the thickness of the rubber sole, toe cap and heel cap. No longer will you stub your toe on the only rock at the beach, or have to pop blisters with your thumb nails... Gross.